In regions where winter temperatures drop below 60 degrees F, every habitable room in the dwelling shall be provided with a heating system capable of maintaining a minimum room temperature of 68 degrees F. Portable space heaters shall not be factored in when determining compliance with these guidelines. Hallways, closets, laundry areas and bathrooms (although unheated bathrooms can be unpleasant in cold weather) do not require heat and are not considered to be habitable space. At old homes, as often as not, the inspector finds at least some unheated rooms. Those unheated rooms, frequently upstairs and so-called "bedrooms," are not habitable because of the lack of heat. Sometimes, at really old houses, there might be a centrally located grill in the upstairs floor, an opening between the heated downstairs and the upstairs. The intent was noble, and it was probably state-of-the-art design 80 years ago, but, this arrangement is still defined as "insufficient heat." If closing a door cuts-off heat to a room, then the room is not habitable and it is insufficiently heated. Another common deficiency, usually seen at older homes or rental properties, is the dwelling equipped with a single space heater. That is a poor arrangement. In cold months, residents freeze in bedrooms and other private areas if doors are kept closed. Even at homes that are only 15 to 20 years of age, heating system problems are fairly common. Granted, with any luck, there will probably be heat to each room. However, the original forced-air furnace, usually gas-fired in Whatcom County, is often rundown and deteriorating fast. Estimates by manufacturers put the design life for a gas furnace at 15 to 20 years. 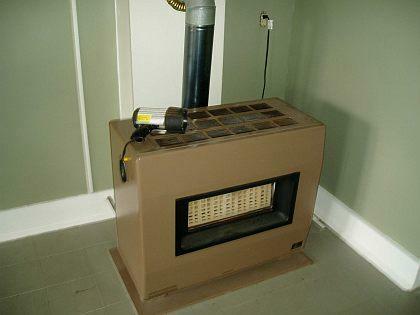 When a 15-year-old furnace looks like the one below, heavily rusted inside, any remaining life is, at best, minimal. When the diagnosis is "insufficient heat," the solution is to add heat sources to, potentially, habitable rooms. That task might include upgrading to a central heating system with supply registers and ducts. Other possible remedies involve adding alternative, but permanent, sources of heat to each habitable room such as gas fireplaces/stoves, electric baseboard or electric in-wall heaters. Purchasers, buying newer homes, usually assume that they are free from worries. At a newer house, there might be fewer concerns most of the time, but the home inspector realizes that nothing should be taken for granted. At brand new homes, I have found furnace flex ducts that were full of water and gas fireplaces that were only partially installed and fully inoperable. However, the most common deficiency I see at new houses consists of flex ducts, down in crawl spaces, that were never connected into the system, or they were poorly installed and the ducts came loose. To obtain a more complete overview of the heating system, in most instances, I check heat supply registers (with the furnace heating) while employing an infrared thermometer. The simple device provides useful insight into whether or not ducts are connected into the system, blocked or disconnected. Frequently, in performing a system check with the thermometer, problems will be discovered. For example, heat supply registers might read as cold and that indicates they are not connected to ducts, the ducts came loose or the homeowners have intentionally disabled the ducts or the supply registers. In the case of insufficient heat, or any obvious problem with the system, purchasers should always consult with an HVAC professional or, in the case of electric heat, a licensed electrician. At the time of a real estate sale, with few exceptions, it makes sense to have an HVAC professional service, and review, the heating system. 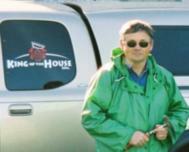 A home inspection is a simple visual inspection. A full heating contractor review of a forced-air system is more invasive and should include servicing and cleaning the heating appliance, verifying vent and heat exchanger condition, assessing ducts for airflow, balance, cleanliness, carbon monoxide testing and confirming the overall sufficiency of the heating system for the specific dwelling. A detailed contractor analysis may uncover additional issues that were not apparent at the time of the home inspection.